As the lull in laptop sales continues, low-cost computing devices are gaining popularity. Low-end hardware powered by lightweight OS has been a boon for the budget-conscious education sector. They are cheaper, faster and easier to run. Google has been ruling the education space abroad with its Chrome OS that can be installed in low-cost laptops such as Chromebooks. According to Futuresource Consulting, in 2016, mobile devices running Google's Chrome operating system accounted for 58 per cent of the US market for primary and secondary schools. 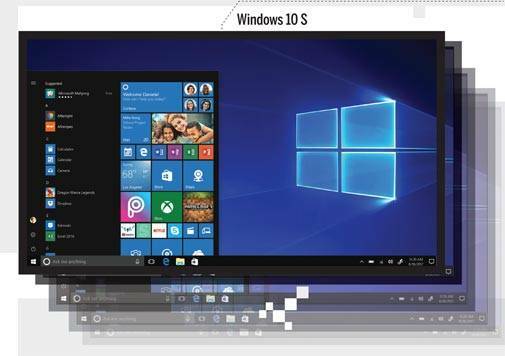 Realising the potential in this segment, Microsoft has announced its new lightweight operating system, the Windows 10 S (the slim version of Windows 10). The perception is that these devices require one to be online and offer limited storage. While this is true to an extent, they offer offline apps, too. Chromebook, for instance, is optimised for Google apps, including Google Docs, and Microsoft 10 S devices support Microsoft Office. You can also work on these in the offline mode. These devices can be relied on for basic usage - web browsing, working on documents, excel sheets and presentations. You can also watch videos, transfer photos and do basic editing. You can use them to play online games or download the ones listed in respective app stores. All in all, they are apt for students, elderly or anyone who does not need heavy storage options and specialised apps. The two operating systems - Chrome OS and Windows 10 S - are much cheaper and are less processor-intensive. Therefore, manufacturers are able to come up with affordable devices that offer laptop-like functionality. These OS also load more quickly. It started as an operating system for Chromebooks, which was an online-only machine initially - majority of tasks, applications and data were linked to servers in the cloud; offline usage was not an option. In 2013, Google introduced 'Packaged Apps', later known as Google Apps, offering offline capability to Chromebooks. While they were available for download on Windows OS and Linux, Google has now started phasing out these apps for other platforms. These will only be available on Chrome OS. "We launched Chromebooks in India back in 2015 and have been excited about their growth since that time as businesses in India become more and more mobile and cloud-savvy. With constantly improving Internet infrastructure across the country and the added ability of Chromebooks to access both Android and Cloud apps, we have seen increased adoption across multiple business verticals," said Neal French, Head of Chrome Enterprise, Japan and Asia Pacific. 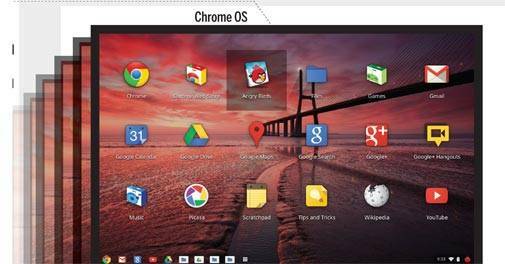 Chrome OS is based on the Linux kernel and uses the Google Chrome web browser as its principal user interface. Compatible apps work both online and offline, including Gmail and Google Docs, and apps such as calculator, calendar, news, games, and more. Chromebooks are automatically kept up-to-date with virus protection. Google claims that unlike traditional laptops that slow down with time, Chromebooks do not. Low-cost Chromebooks reportedly outsold Apple's range of Macs for the first time in 2016 in the US. Even though Microsoft missed the bus, its new Windows 10 S comes with an additional 'security' promise. This lighter version of the OS has been designed to simplify Windows for low-end hardware. Windows 10 S is a specific configuration of Windows 10 Pro that offers a familiar, productive Windows experience, streamlined for security and performance. Microsoft claims that Windows 10 S continues to be fast and secure by exclusively using apps in the Windows Store and supports browsing on Microsoft Edge. This means a user will not be able to instal any third-party app that is not listed on the Windows Store. Devices running on Windows 10 S take around 15 seconds to be ready for log-in and use for the first time. With Windows 10 S, Microsoft's goal is to develop an open, vibrant partner-centric ecosystem. In the coming months, Microsoft's partners will offer a range of Windows 10 S devices - from Windows Ink and touch PCs to premium devices starting at $189. There will also be offers for teachers and students, including free one-year subscriptions to the Minecraft Education Edition for new Windows 10 education PCs, free Windows 10 S for all schools on their current Windows Pro PC, free Microsoft Office 365 for Education with Microsoft Teams and free trial of Microsoft Intune for Education. There is no confirmation on when the Windows 10 S PCs will be launched in India.